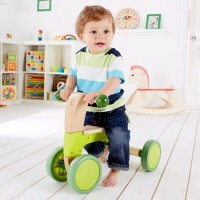 Hape Galloping Zebra Cart is a colorful push-pull toy walker that promotes physical development, active exercise and lots of movement for the little ones. 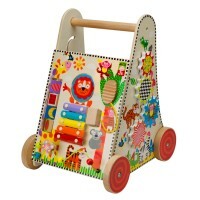 Start walking and pushing this wooden cart to see the friendly zebras that nod and run along the way! 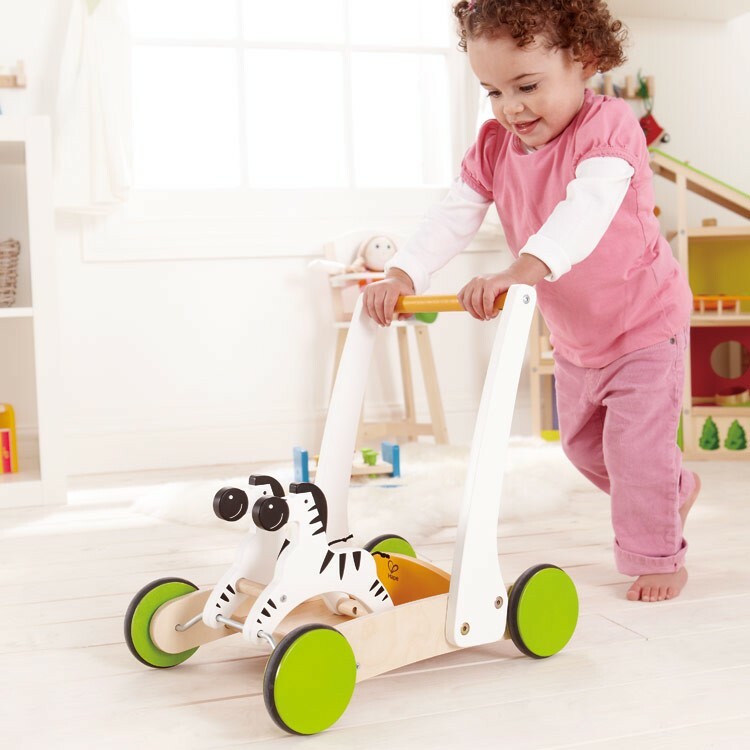 Galloping Zebra Cart Toddler Push Toy by Hape is a colorful push-pull toy walker that promotes physical development, active exercise and lots of movement for the little ones. 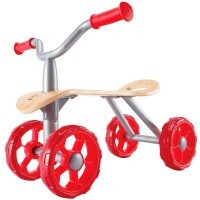 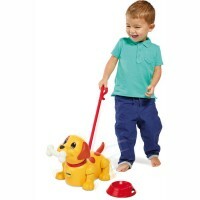 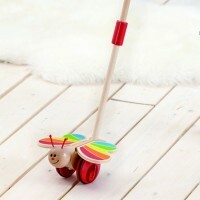 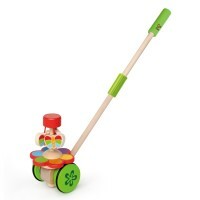 This balanced walker features a sturdy wooden base for pulling up, and a attractive original Hape's design that makes pushing so much fun. 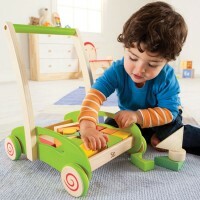 Galloping Zebra Cart Toddler Push Toy comes with the rubber rimmed wheels to protect your home floor surfaces. 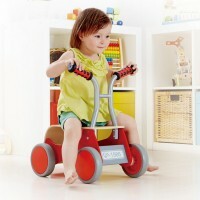 As all Hape toys, this zebra push cart meets or exceeds all US safety standards. 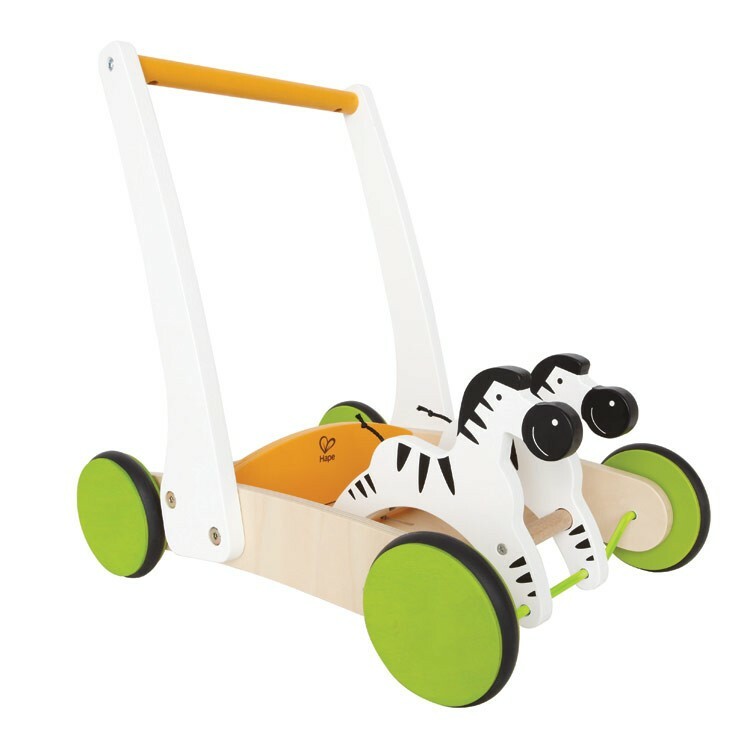 Let your beginner walker to follow the 2 adorable wooden zebras jumping up and down on this toddler push cart and have tons of active fun. 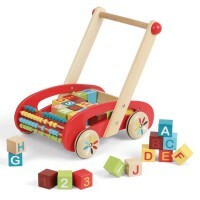 Dimensions of package 10.79" x 15.87" x 15.67"
Write your own review of Galloping Zebra Cart Toddler Push Toy.